Oil needs to be changed approximately every three months of 5,000 km. However, these numbers can fluctuate according to driving habits and driving environments. If a vehicle is not driven very often, then the oil will not need to be changed as often. Vehicles in cold, wet environments will not need to have oil changes as often as those in hot, dry environments. When in doubt, trust the odometer and get an oil change approximately every 5,000 kilometers. Most modern vehicles have an alert on the dashboard for when the oil needs attention. However, it can be useful to know how to check the oil manually, especially if your vehicle does not have a sensor for it. Checking your oil manually is very simple, and should be done approximately once a month, or before and after longer trips. All you have to do is find the oil dipstick, pull it out, and wipe it clean on a lint-free rag. The location will be different for each vehicle, but should be easy to find. Make sure the engine has been off for at least ten minutes beforehand so it has a chance to cool down as hot oil is expanded and the measurement marks on the stick are optimized for cool oil. After you have wiped the dipstick clean, insert it back into the pipe, then pull it out again and look at the oil level on it. Ideally the oil should reach the full line. If the oil does not sit within the marked range or is otherwise heavily discolored you should consider bringing your vehicle in for an oil change. The change in Canadian seasons can be tough on your vehicle’s engine and oil, so it is important to ensure that you get regular oil changes. 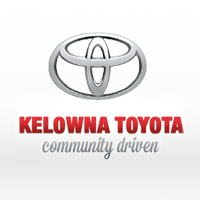 For your ease and convenience, come down to Kelowna Toyota and our expert Service Staff will take care of everything for you while you wait. Visit us at 1200 Leathead Road, Kelowna, BC V1X 2K4 or give us call at (250) 491-2475 today to book an appointment.